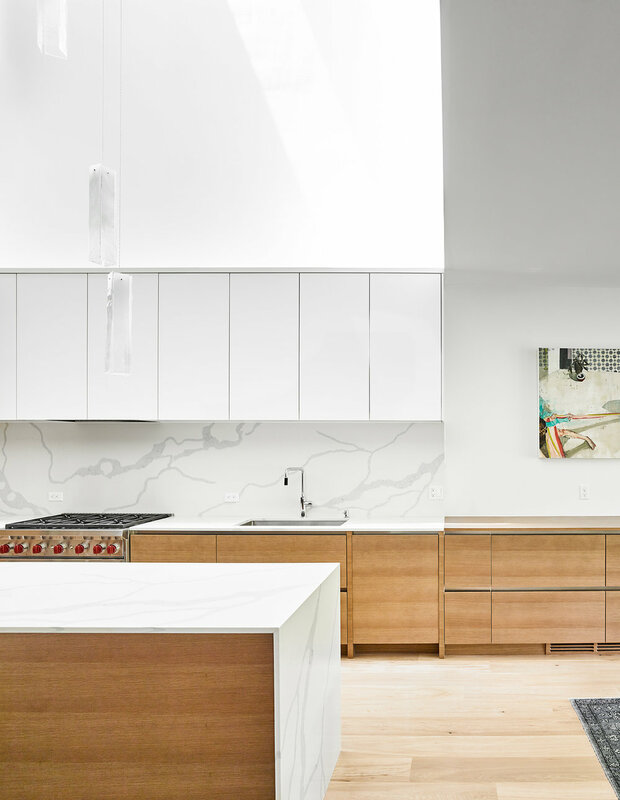 This midtown, infill house is organized around a central atrium that connects domestic program across three levels. 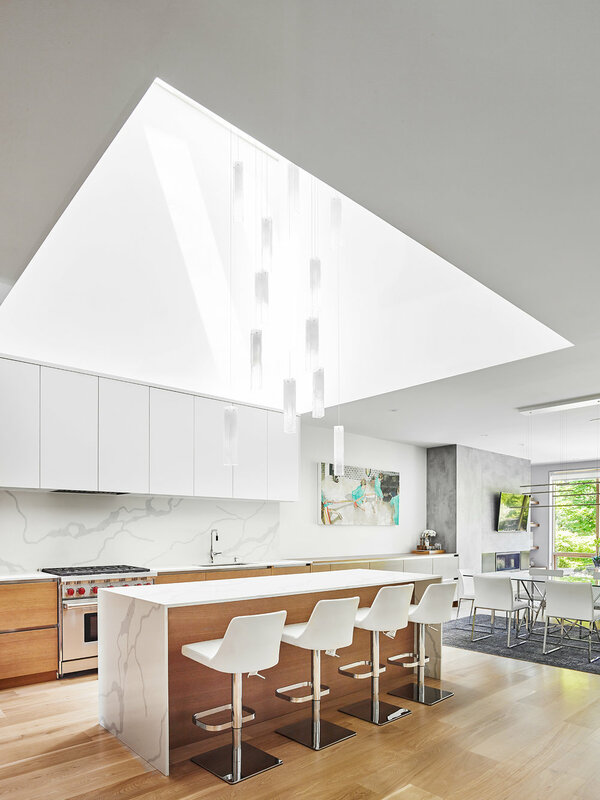 Day-lit from skylights above, the atrium passes through more private, domestic spaces on the upper floors before culminating in a cut out ceiling that frames the feature entertaining kitchen. Open living spaces at the front and rear of the elevated ground floor connect to the exterior through a cascading series of smooth poured concrete terraces. The exterior material palette contrasts concrete, masonry and glass with warm wood accents lining carved out, protected areas. 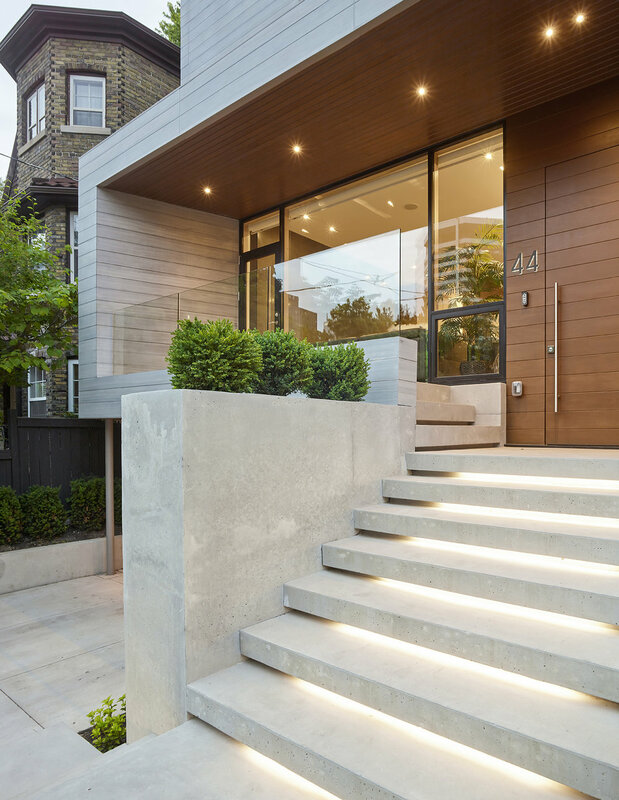 A variety of outdoor spaces are provided across multiple levels with a projecting front porch, intimate inset balconies and expansive terraces at the rear. A setback third floor, barely visible from the street, allows for front and rear facing roof terraces.